The Philadelphia Inquirer enters our national end-of-life conversation this weekend with a tour-de-force that accurately portrays the reality of life and death in the American healthcare system as well as the potential of palliative care. The article describes the experiences of Mary Tole, a 74 year-old woman who spent 67 days in the hospital at Abington Memorial Hospital last fall (10 in the ICU and 57 on a ward). The palliative care team's crucial interactions with the patient and her family are detailed. Mrs. Tole was admitted originally with delirium and falls. She had been previously healthy. After an extensive workup, no cause could be found and her condition worsened. Six weeks after admission, a palliative care consult was obtained and FINALLY someone (Dr. Diane Dietzen, Palliative Care Medical Director and team) sits down with the patient's family to review her situation. The patient's brothers are nervous before the meeting. Is this finally the "death panel"? Is the hospital going to make them pull the plug? But if you're in this field, you know what ensues: as a result of the family meeting, the family becomes better informed, has a chance to "vent", and seems to feel well supported. They even wonder, well, why didn't we receive this opportunity earlier? The article heavily quotes Dr. Sean Morrison, guru from CAPC and the National Palliative Care Research Center. The patient is still alive today, and achieved her goal of returning home. The palliative care team remained involved in her care as she slowly improved and until the time of discharge from the hospital. While certainly a significant proportion of palliative care patients die within a short time after PC becomes involved, it remains vitally important to reassure people that this is not because of palliative care and that PC practitioners are very interested in supporting patient autonomy when it's feasible (or supporting substituted judgment when patients aren't able to tell us what they want). Mrs. Tole was charged about $900 for the stay. It sounds like a reporter (!) reviewed the above financial information with the patient and her family while she was in rehab, and of course, they were shocked. After all of this, Mrs. Tole has finally completed an advance directive which states her wish to be DNR and names her daughter as her surrogate. In a much more melodramatic manner, Keith Olbermann recently delivered a diatribe about his father's illness (laced with angry reprimands for those who might wish to derail health care reform). His father has been hospitalized for several months and has a chronic critical illness. You can watch the video, but in essence, Olbermann describes his father pleading for help and then subsequently asking for Olbermann to kill him because of the amount of suffering he is going through (trach, PEG, chest tubes, dialysis, etc, etc). Olbermann approaches the surgery resident to ask if they can sedate his father, and the resident complies. At the time of recording, he was no longer sedated but comatose and septic. Olbermann goes on to talk about how lucky he was to be able to have significant conversations about his father's wishes beforehand. He has some choice words for those who don't want to reimburse physician-patient end-of-life conversations (ie the provision to reimburse ONE advance care planning conversation every FIVE years). I thank Olbermann for his poignant description of his father's struggles, his enthusiasm for advance care planning, and I wish his father and family the "relief and/or release" that his father rightfully demands. But is advance care planning really the issue here? ACP often has a limited impact on what actually happens once someone becomes ill. Olbermann seems to suggest that he had those tough talks with his father before his current illness, and it sounds like his father still retained at least some capacity to make decisions up until very recently anyway. Yet his father still wound up having interminable suffering. I look at advance care planning as sorta like an immunization. If you give 100,000 people the flu shot, some will be protected from having any symptoms of the flu, many will still get mild symptoms, and some will still have a severe case of the flu inspite of the shot. What does advance care planning immunize people against? Hopefully, unwanted intervention in the face of a poor prognosis, for one. But more importantly, it probably immunizes loved ones against "second guessing" or "thirtieth guessing" (as Olbermann puts it). It's not going to stop the second guessing altogether, though. Second guessing is part of any difficult decision, especially important decisions that you rarely make. ACP seems most helpful to me in those circumstances when the patient's poor prognosis is REALLY clear (either they are very likely to die soon regardless of what is done or they aren't likely to recover some important function, like severe anoxic brain injury). Patients who have completed living wills usually have those types of circumstances in mind when they completed the documents. But oh, the paths that you can take to reach your death and how often the prognosis (and even diagnosis) remains unclear up until death or resolution of the illness! (As in Mrs. Tole's case.) ACP seems much less helpful in those circumstances, and leaves more room for "thirtieth guessing." 1) Man gets really sick, goes through torturing procedure after procedure. 2) Man gets to the point where he can't take it anymore. 3) Man pleads with his son (presumably before his doctors?) to RELIEVE and RELEASE! 4) His son thinks the man's docs will look askance on this request (indicating that the doctors have never had a goals of care conversation with the son previously). 5) Only at that point does any communication seem to occur about relief of suffering and the possibility that life-prolongation should no longer be the goal. In other words, just as when someone requires intensive care for the flu in spite of an immunization, when the living will or previous discussions don't necessarily apply to the present serious illness (or ACP hasn't taken place), you need someone who can provide intensive communication care: someone who can get to the bottom of how the illness fits into the patient's life-narrative and someone that can blend this narrative with the medical narrative in a way that makes sense to the patient's family. As discussed previously on Pallimed, the current Medicare reimbursement scheme DOES reimburse physicians to have these difficult conversations. You can bill for time spent counseling, and there's no limit to the number of these sessions. Why don't they happen? 1) Inadequate training of most physicians to conduct these types of conversations. 2) Disproportionate reimbursement for procedures compared to "cognitive-based" tasks. 3) Inadequate availability and utilization of palliative care teams. As Mrs. Tole's case suggests, our country would have nothing to lose if healthcare reform (in whatever form it takes) ameliorates all of the above concerns. This is the companion piece to Handy Hints for a National Meeting 2010. I always try to learn something about presentation skills from any talk I go to. If you have any of your pet peeves from presentations or helpful comments please add them below. You may also be interested in the list of key presentation software and websites. Fancy backgrounds may seem creative but do not let them distract from your talk. Other common distractions are animated text (NO! ), sound effects (double NO!). Include your logo on ONLY the first and last slide; a logo on every slide feels like an advertisement. Aim to be such a memorable speaker, people talk about you AND your institution. When giving your talk, try working with a remote control to advance the slides. If you give many presentations this should already be in your possession as it allows you the freedom to move away from your computer and engage your audience. You may also consider pressing “B” during your presentation to turn the screen black to get more involved with your audience or to place the focus back on you. Consider consolidating all of the information from your talk into a Word document instead of just sending the PowerPoint slides to be your handout. It may save several trees if we all did this. Or even better post your talk to Slideshare or Scribd so more people can benefit. In a medical talk remember to indicate if the medication and the indication are FDA approved or not. You signed the agreement saying you would disclose, so you better. Try FDA@Drugs or the medication insert. For hospice and palliative medicine, you should buy the Hospice and Palliative Care Formulary (HPCF-USA) for this info at quick reference. You may be surprised how many medicines are not FDA approved for HPM indications. Find some good presentation websites like Six Minutes or TED talks. You don't have to go buy a book, although I would suggest Presentation Zen or Slide:ology if you are interested. * Don’t cram a lot of data/graphs on one slide. The audience can’t read it. * Consider making your own graph to highlight the important part as opposed to the journal provided version. And lastly a quick presentation on how NOT to give a presentation. Here is a list of tools and sites I frequently use to make my presentations or might inspire you to stretch beyond your boundaries and increase your skill set. Check out the companion piece How to Give a Great Medical Presentation 2010. Duarte Blog: Nancy Duarte, writer of the book Slide:ology, who helped create the look (not the data) for An Inconceivable Truth. Great tips about slides and hot to make your talk memorable. Presentation Zen: The Art of the Slide. Lots of ideas for making your talk inspiring and memorable. Slideshare: You can store your presentation files for public or private use. PPT, DOC, PDF, whatever. You can even add mp3/audio and make a SlideCast. Good site to also check if other people have posted on your topic. See my presentations on Slideshare. I also post my handouts here. You can then give your audience the links to your account or the talk so they can always look it up wherever they are. Scribd: Similar to Slideshare but focused more on documents. Just pick one, not both. YouTube: You would be surprised how many presentations are on here. Not just some 3 year old explaining the plot of Star Wars. Also good to find entertaining things tangential to your talk that you could pull in to your talk. Delicious: A bookmarking service that is independent of any computer you are on. So when I prepare for a talk, I can add any website that may be relevant to my Delicious account, tag it with labels, and then it is easily searchable (public or private, you choose.) Check out my account for ideas on how I use it. Also a good search engine to see what people are linking too. Twitter: I use it to search for keywords for my talk to see what others are saying about it. Try it necxt time and you may find some things that get included in your talk. Prezi: A cool new idea in making presentations that makes kinetic typography more accessible. I have been playing around with this and I am just waiting for the right talk to use it on. Animoto is another site that offers similar features. Graph Click: A cool program which helps you transform that dusty old graph from the 1982 article that has been copied a million times into something legible and that fits with your theme. You can basically grab all the datapoints from a graph with a few clicks. Clever. Flickr: Great site to find Creative Commons licensed photographs on ANY subject you could think of. 32k+ images tagged with 'hospice'!! Make sure you use advanced search and check the appropriate Creative Commons boxes at the bottom. Maybe even leave a comment for the creator of the photo. And give them credit in your talk. Compfight: A website which does a better job searching Flickr. Frankly it is just fun to look at ll the amazing photos. A few analyses from the Coping With Cancer Study have been published recently, all in the Journal of Clinical Oncology. We've published extensively about the CWCS (see here for more). Briefly, it was a prospective, US multi-institutional study of several hundred advanced cancer patients (& their family caregivers) which measured at baseline, among many things, characteristics of patient coping, communication with clinicians, and care preferences. Patients were followed through death, and caregivers were followed into bereavement. First is a look at race and predictors of 'intensity' of care at the end of life. This analysis looks at ~70 African American patients and ~230 white patients (essentially all the patients who had died by the time of the analysis who self-reported those racial categories). AA patients were more likely to report wanting (37% vs 22%), and to actually receiving (13% vs 3%) 'intensive' EOL care (receiving intensive EOL care was defined in the study as dying in an ICU after either CPR or mechanical ventilation). Rates of reporting having an EOL discussion with a physician, as well as trust in their physician, were similar between white and AA patients, wheras positive religious coping was more common in AA patients than whites. In multivariate analysis, religious coping was strongly associated with receiving intensive EOL care in white patients (see also here for another CWC paper on religious coping), but not for AA patients (this is probably because the AA patients were more uniformly positive religious copers than white patients that there just weren't enough to capture measurable differences). In addition, having a preference for intensive EOL care was strongly associated in white patients with actually receiving it; for AA patients there was a not-statistically-significant trend towards this (adjusted OR 4.5, p=.058 compared to an aOR of13 for white patients). That is - white patients were more likely to get what they wanted (at least as measured by self-reported preferences at baseline) than AA patients. A few thoughts about this. Overall this is very consistent with prior research about racial and cultural differences in EOL care. It's always important to keep in mind however that while these differences are there, and measurable, and reproducible, the groups are more similar than they are different (e.g. vast majority of patients did not receive intensive care at EOL, majorities in both groups reported quality of life/symptoms were more important overall than absolute length of life, etc.). This reality, and the fact that you can never assume what the patient in front of you wants until you ask, should always be kept in the forefront clinically. What's most interesting about these findings is the disconnect between baseline preferences and actual EOL care in AA patients (at least relative to the white patients). The authors hypothesize that, at least regarding those patients who report at baseline wanting intensive EOL care, AA patients' preferences are more fluid and situation-contingent (e.g. change more readily as death approaches) than white patients who endorse similar goals at baseline. Of course another explanation (which is also discussed) is that AA patients' wishes are not respected to the extent of white patients' at life's end (and in fact having a DNR order at baseline did not seem to be 'protective' from intensive EOL care for AA, as it did with whites). For both groups (the DNR-at-baseline and the preference-for-intensive-EOL-care-at-baseline) the disconnect between patients' wishes and what actually happens is more pronounced in AA patients than white patients. That's disturbing, and worth more investigation. Second is a look at which patients receive care at the end of life which is consistent with their stated preferences. This analysis looked at baseline patient preferences (for symptom-directed care preferentially over life-extending care or vice versa), actual care received in the last week of life, whether patients reported an EOL conversation with their physicians, and how bereaved family caregivers rated physical and psychological distress in the last week of life. There are a lot of findings here, and I'll only mention a couple. First is that they note that baseline preferences for life-prolonging care or actual receipt of life-prolonging care in the last week of life were not associated with actually living longer (survival was ~200 days from enrollment in patients preferring symptom relief, and ~160 days for those preferring life prolongation; there were similar findings in patients who actually received life-prolonging care in the last week of life - none of the differences were statistically significant). They defined life-prolonging care in the last week as chemotherapy, tube feeding, or any 'ICU-level' of care. This is reminiscent of the SUPPORT study sub-analysis of cancer patients - preference or receipt of more 'intensive' care at the EOL was not actually associated with living longer. As far as patients receiving care that was consistent with their baseline wishes, reporting having an EOL conversation with their physician was the only factor consistently associated with this congruence. Regardless of baseline preferences, those patients who received life prolonging care in their last week of life (as defined above) had more physicial and psychological distress in the last week (as reported by family caregivers). So, even for patients who said (at baseline) they preferred life prolonging treatment, receipt of such treatment was associated with more suffering, and lower rated quality of life (compared to patients who didn't receive those treatments, regardless of preference). The final one looks at the impact of spiritual care by medical teams on patient's end of life care. In some ways it is a follow-up to this CWC analysis Tom reported on a year ago. This study looks at patient reports of spiritual support from their medical team, and pastoral care utilization, and finds that those are associated with more hospice utilization, and less aggressive EOL care, even among religious copers. With the AAHPM Annual Assembly coming up, I will post the 7th edition of Handy Hints for a National Meeting. Later this week I will feature How to Give a Great Presentation, 3rd edition. * Turn in session evaluations in a timely manner. And give some valuable feedback. Bad speakers need to know they are bad and why and what to improve. Don't give them a 4 out of 5! * Wear comfortable shoes, you will be doing a LOT of walking! * If you contact someone on a social network after the conference, be kind and add a little note about why you are connecting with them. They likely met a lot of people and may not remember you. And with your notes you wrote on the business card (see first section), you look like you have a super memory! * Know the hashtag for the conference and use it in your tweets. * When you come back to work, schedule an educational session with interested parties to share everything you learned there. Your business may let you go to the next conference if you educate others. I am mailing out the Pallimed Street team kits in time for the AAHPM/HPNA Annual Assembly on Tuesday, so if you want to help out let me know soon by shooting me an email at ctsinclair@gmail.com. Right now we have over 20 people who have volunteered to hand out Pallimed 'P' Stickers at the assembly to wear on your name badge. The support has been great so far! Thanks for making our advertising budget stretch further than it ever could. In 2009, the Annual Assembly of the American Academy of Hospice and Palliative Medicine (AAHPM) and the Hospice and Palliative Nurses Association (HPNA) became the first demonstration of multi-user use of Twitter at a major medical conference. Part of this was a nice coincidence of events: Twitter was growing in popularity in early 2009, I had just become more comfortable with Twitter after a few months of use, smartphone apps for Twitter became more powerful allowing for non desktop use of the platform. Hopefully this year we can surpass those numbers as we hopefully have more people familiar with Twitter. To help boost those numbers and spread the word of the good information on hospice and palliative medicine I hope you will join the effort. Then you should be tweeting at the conference. With over 2000 people in attendance if even 10% of us could be tweeting about this we could make a big impact and create an ongoing network of HPM twitter users and become leaders in communication beyond the bedside. Read the previous post on Twitter for Health Care Professionals. Read the post on lessons learned from the previous Assembly. 1. Post a tweet using the hashtag (#) of #AAHPM so that other people going can start finding and following you (forming a network of attendees). Example: "I am excited to meet a lot of my friends at the #AAHPM Annual Assembly next month"
3. Feel free to follow the other HPM related Twitter lists in the right hand column of my profile. 2a. If using a computer with wi-fi then use a web based program like TweetChat to automatically add #AAHPM to every tweet. 5. RT good tweets with #AAHPM hashtags. And don't forget to come to the Social Media Workshop Friday AM and you can meet other Twitter users face to face! Twitter really had a big year in 2009, but some of the shine may appear to be wearing off. Sure you have seen it on your preferred 24/7 news channel and everyone and every organization seems to want you to follow them on Twitter (or be a fan on Facebook). But Twitter is still a important force in information dissemination and therefore medical professionals and organizations need to be aware of how this tool can work best for one's information gathering and disseminating practices. Saying Twitter, Tweet, Re-Tweet, Tweeple or Tw-(insert word here) sounds stupid. It will never sound cool, I agree. That doesn't mean you should dismiss it. You would still order a PET scan if you found it helpful right? Privacy and legal concerns for medical staff abound, but that doesn't mean you have to be a tight-lipped recluse and never share your knowledge. You can be smart about it. You are a busy person. Lots of people are busy, but a few clicks on your smartphone while waiting for an elevator may not be too much to ask. Using social media to publicly discuss medical issues with patients or families is not a smart idea, despite what idealistic futurists might think. So if you are willing to at least agree with my points above let's continue. Some key aspects of getting to know Twitter is to use it frequently from your phone and your desktop over two weeks and you will start to see how the culture moves. Here is a simple 9 step list on how to become an intermediate Twitter user. 7. Tweet at least 3 different times during the day, 2-4 tweets each time. Can't always get to a computer to get to Pallimed? Well now iPhone (and iTounch and iPad) users have an option to read Pallimed and Pallimed: Arts and Humanities (including comments to both blogs) with the very first Pallimed FREE iPhone app. The FREE Pallimed app gives you one-click access to the blog content without any of the extra sidebar content that could make browsing the site via a smartphone a bit difficult. You can even post a comment via the iPhone app. There are two bugs we have found so far and we are working to get them hashed out (can't email author nor email the blog post). We even have one review so far and the app was only published last week. Simple, well thought-out, a great way to keep up with the latest information in palliative care. I've never read this blog before but I'll be following it regularly now! Thank you for doing this. You are welcome Pixel 196,5! 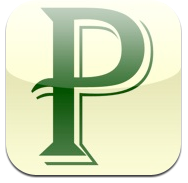 If you have an iPhone we encourage you to get the FREE Pallimed iPhone app and review it. Maybe it will rise in the standings and more Pallimed naive people may get the app and learn more about hospice and palliative medicine issues. The AAHPM has a blog! The AAHPM has a blog! This has been in the works for a while and I am very glad to see it! I am hoping this will be a great new way for the Academy to interact with members and non-members to help grow awareness about hospice and palliative medicine. Go over and say hello! As we get closer to the AAHPM/HPNA Annual Assembly in Boston (March 3-6, 2010), we will again be calling on Pallimed readers to help spread the word about Pallimed and medical blogging. Believe it or not there are some people out there who think blogs are just for political slams, celebrity gossip, and watching videos of my kids performing magic tricks. But as you know a blog can be a place for serious discussions about vital issues to good clinical practice, public opinion of hospice and palliative medicine and occasionally a funny quip. This offer is open to any Pallimed reader who wants to grow the knowledge of hospice and palliative medicine professionals. A street team kit will be sent out free of charge to any Pallimed reader who requests one. If you are so enthusiastic that you would like more than one kit just ask. So how do you make the best use of the Pallimed Street Team kit? Stickers: The 'P' stickers are great additions to any name tag while at a conference to help you find other readers of Pallimed thereby creating a bigger sense of community. And when someone asks you about the 'P' you can tell them about Pallimed. They were a great hit at the 2009 conference. I ran out of mine! Pallimed Prize Pledge Sheet: Sign up people to pledge any amount towards the Pallimed Prize announced last month to encourage hospitals to support Palliative Care teams through advertising. This obviously will take a little more gumption on your part. Instructions on how to best make use of this will be included as well as discussed in an upcoming blog post. Special Treat: I have not yet decided on what this will be but it will be a collectors item. But if you are signing up for the Pallimed Street Team just to get this, you have to re-examine your priorities! If you want them before the AAHPM Annual Assembly email me (ctsinclair@gmail.com) by Monday February 23rd so I can get them in the mail to you. I will have a few kits on hand at the assembly, but they won't have the special treat, so let me know soon. If you are going to any other medical conferences or just would like to spread the word locally, you can also request a kit, it just might come a little later. And a very shy and reluctant Drew R.
Drew just posted 'It just changes the complications' covering an ethnographic study that appeared in the Archives of Internal Medicine about the influence of nursing home (NH) culture on rates of tube feeding of patients with advanced dementia. My thoughts upon reading this (and I’ll wager I wasn’t alone) was that the information and the differences noted made sense to me, but it’s tough to make institutional and policy review and implement indicated changes based on ethnography. So, as if in telepathic response to Pallimed readers, the current issue of JAMA contains an article about just this topic, abounding in hard data. Teno et al. 2010. Hospital Characteristics Associated With Feeding Tube Placement in Nursing Home Residents With Advanced Cognitive Impairment. JAMA. 303(6):544-550. The good people at GeriPal have also posted on this article. This is a large, retrospective, chart-review covering the 8-year period from 2000 through 2007. It has a Texas-sized data set, N = 280,869 admissions for 163,022 residents of nursing homes with advanced cognitive impairment. The U.S. Nursing Home Minimum Data Set defined the study population. The resultant random sample size represented 20% of all Medicare beneficiaries who were previously non-tube fed NH residents age ≥66, admitted to 2797 out of 5401 U.S. hospitals during the study period. The rates of endoscopic or surgical insertion of a gastrostomy tube (G-tube) placement during a hospitalization varied from 0 to 38.9 per 100 admissions (mean 6.5, median 5.3). Encouragingly, the practice showed a decrease over time. The mean rate of feeding tube insertions per 100 admissions was 7.9 in 2000, decreasing to 6.2 in 2007, with the biggest decrease occurring in 2005. I feared certain ugly truths possibly emerging that perhaps patients’ best interests would be sacrificed for medical student or resident training; or that hospitals with high specialist-to-PCP ratio would nudge patients down an unfortunate path. These fears of mine were not borne out by the data. These differences persisted after controlling for patient characteristics. I think these represent at least unfortunate truths. To me there is a certain Kafkaesque darkness to the notion that admission to a large, for-profit hospital with high ICU use in the last 6 months of life results in significantly higher rates of G-tube placement in NH residents with advanced dementia. Several nursing home resident characteristics were independently associated with G-tube placement. Black NH residents with severe dementia had about a 2-fold increased likelihood of having a G-tube placed; white residents had the lowest likelihood of G-tube placement. Patient characteristics that reduced the likelihood of G-tube placement were having written advance directives, DNR orders, and orders to forgo artificial hydration. Hospice use was weakly or not associated with feeding tube placement. This last factoid was perplexing to me. It led me to consider if this incongruity was a function of the heterogeneity and evolution of HPM practice models and styles over geography and time, e.g., placing venting G-tube placement for anticipated GI obstruction, or ex post facto, late hospice referrals. NEJM has a paper which pushes the last several years' worth of fMRI studies in patients in the PVS or MCS (persistent vegetative state; minimally conscious state) to the next level. (See here for other blog postings about this.) There have been a handful of reports in the last few years of patients clinically diagnosed as being in a PVS, who have some fMRI evidence of cortical activity (e.g. have 'normal' responses to hearing their name spoken, demonstrate normal cortical responses to instructions such as imagining they are playing tennis - by normal I mean show responses similar to healthy controls in that the appropriate areas of the motor cortex show increased activity, etc.). This study is builds on that, and the authors describe identifying one subject who could answer yes/no questions via fMRI. Let me explain. First, the proof of principle. They had 16 healthy subjects imagine either playing tennis or walking around a familiar environment imaging what they'd see: reliably in these subjects these tasks would cause predictable, and predictably different, activity seen on fMRI (e.g. in the supplemental motor cortex for the motor task and in the parahippocampal gyrus for the spatial task). Then they told the subjects that they were to answer yes/no questions by, for instance, imagining the motor task for Yes and the spatial task for No. The healthy subjects could do this, and essentially they demonstrated you could use this technique to have people answer Y/N questions simply by having them imagine different things. Next they tried the imaging tasks on 54 patients who were diagnosed as being in the PVS or MCS. 5 of them could do the imagining task (get results similar to the healthy subjects). Then they chose one patient to test the Y/N answering protocol (it is unclear to me why this specific patient was chosen or why they didn't investigate or didn't report their findings on the other four), and found that this patient could in fact give accurate Y/N answers to biographical questions (name of his father, etc.). He did this for 5/6 questions, repeatedly. This patient, a young man over 3 years out from a traumatic brain injury, was considered to be in a PVS (although the authors indicate some ambivalence about this - there seems to be some question if he was in a MCS: regardless, he was profoundly brain injured and would likely be considered by most to be in a PVS). As perplexing and challenging as this research is, I think we have to keep this perspective at the forefront as these sorts of responses are inevitable. This research is important, and it might change things, but not in the way some automatically assume. Of course the logical extension of this technology is The Captain Pike scenario (for those few 'PVS' patients who can respond); those patients, if felt to be sufficiently decisional, could theoritically communicate their own wishes. How one would determine that - and the gulf between answering 5 biographical Y/N questions and establishing that a patient is 'conscious,' is discussed in an associated editorial, which has a more detailed exploration of how we really don't know what any of this means yet. The mind is an emergent property of the brain and cannot be "seen" in images. The article by Monti et al is provocative; however, physicians and society are not ready for "I have brain activation, therefore I am." That would seriously put Descartes before the horse.